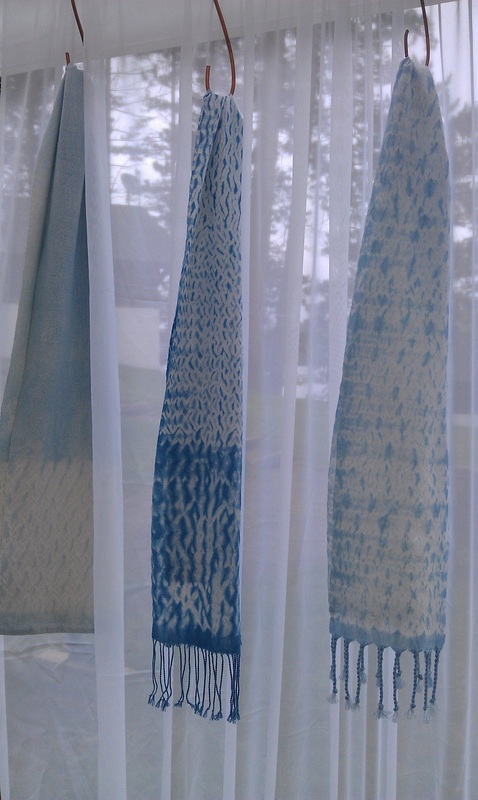 June 1st began with making a 14 yard warp of 16/2 Bockens cotton for more woven shibori scarves. New threading was 4 shaft Monk’s Belt, sett 30 epi. 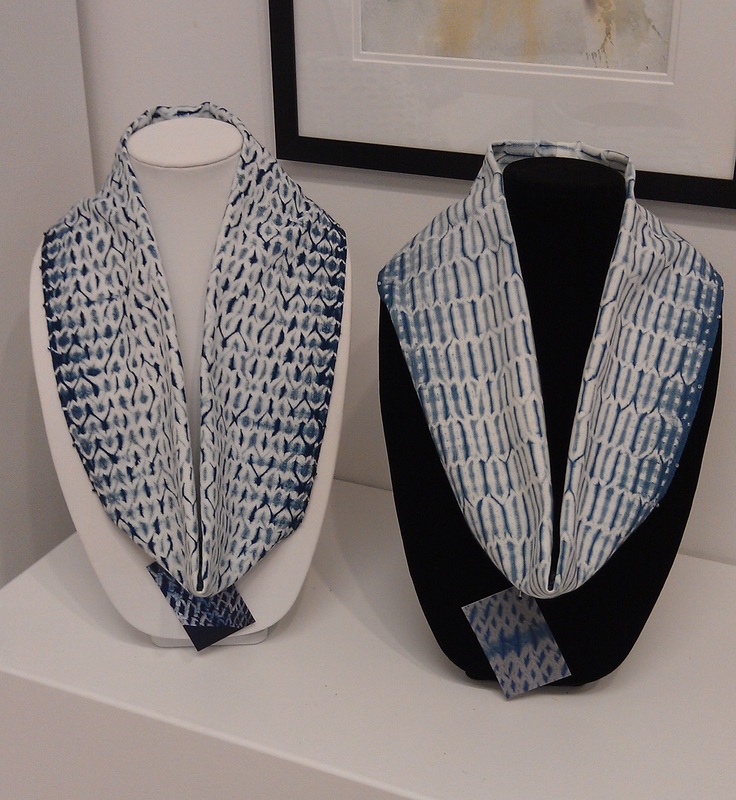 Varying treadling allows one-of-a-kind scarves. 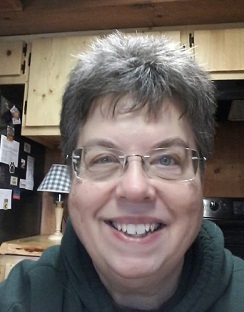 Previous scarves were hand-hemmed, or had hand-twisted fringe. 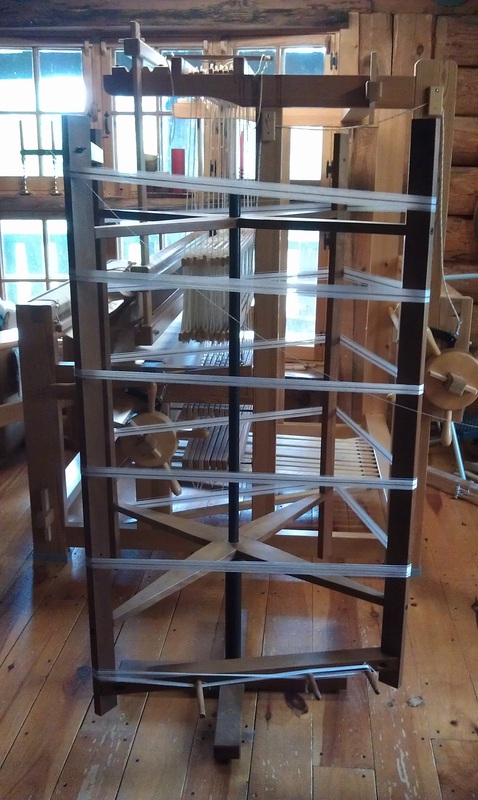 On this warp, I decided to hemstitch on the loom. 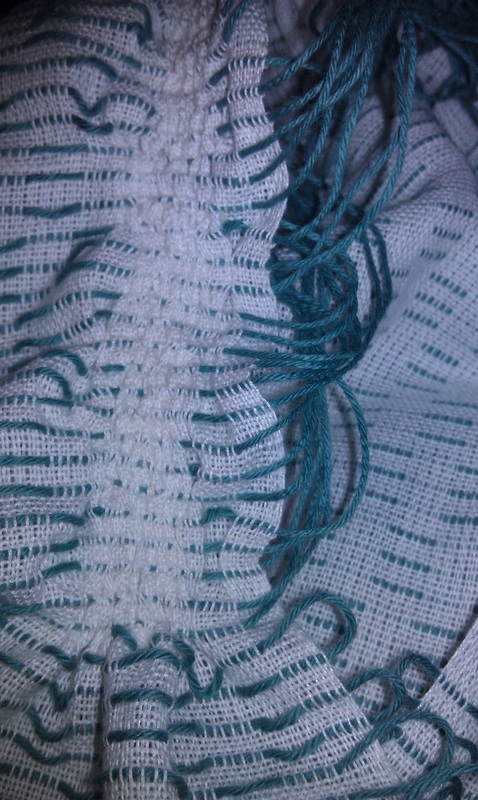 Front and back of scarf. 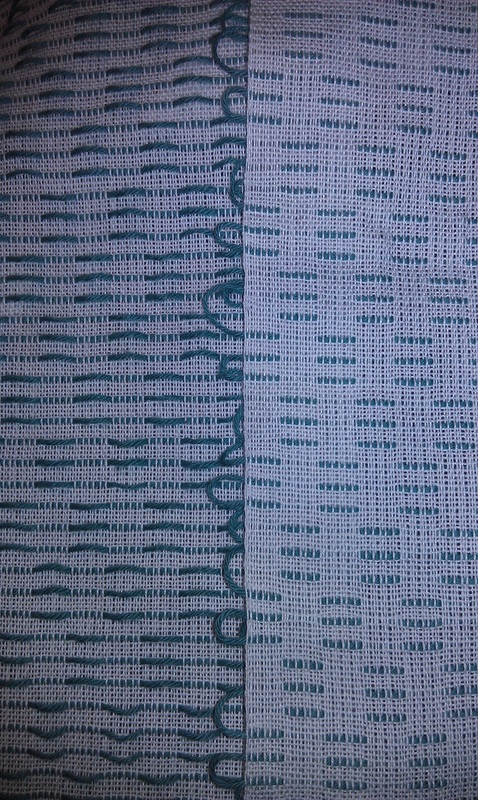 The above photo shows the front (left) and back (right) of a newly woven scarf, off the loom, prior to gathering and tying. Beginning to gather and tie. Above, the gathering and tying process has been started. 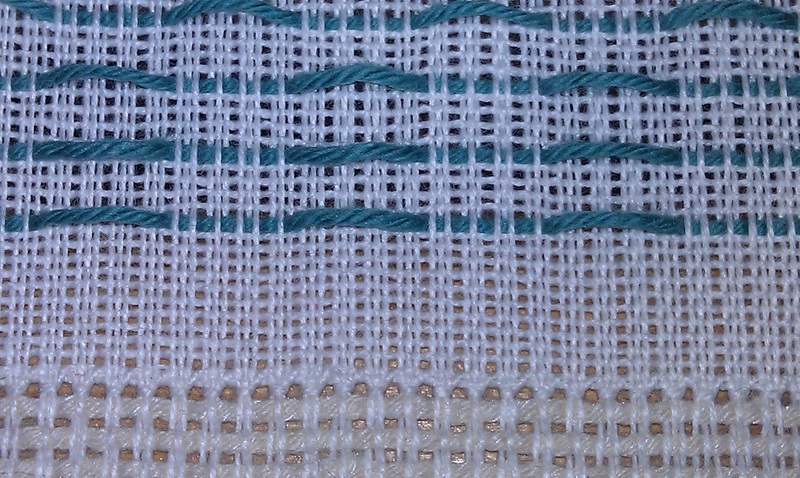 The teal pattern threads will be gathered and knotted as tightly as possible, then trimmed. Art Gypsy postcard for June 2014. 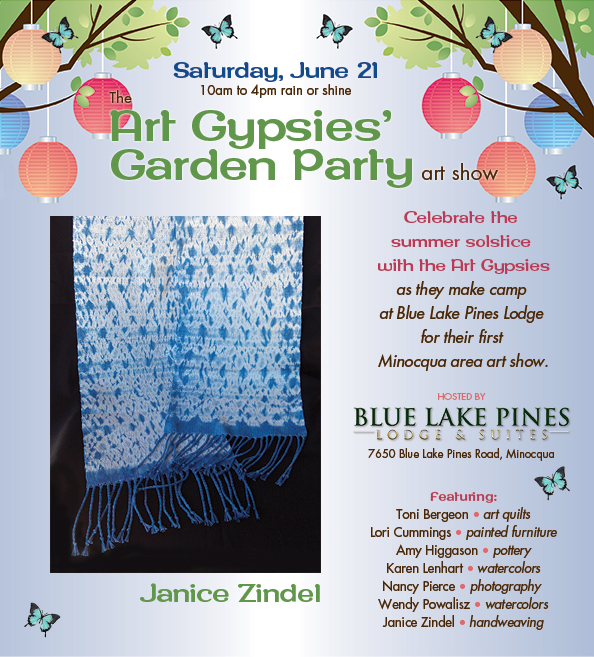 The Art Gypsies, a small group of area artists, had their art fair just outside Minocqua this year, on June 21st. 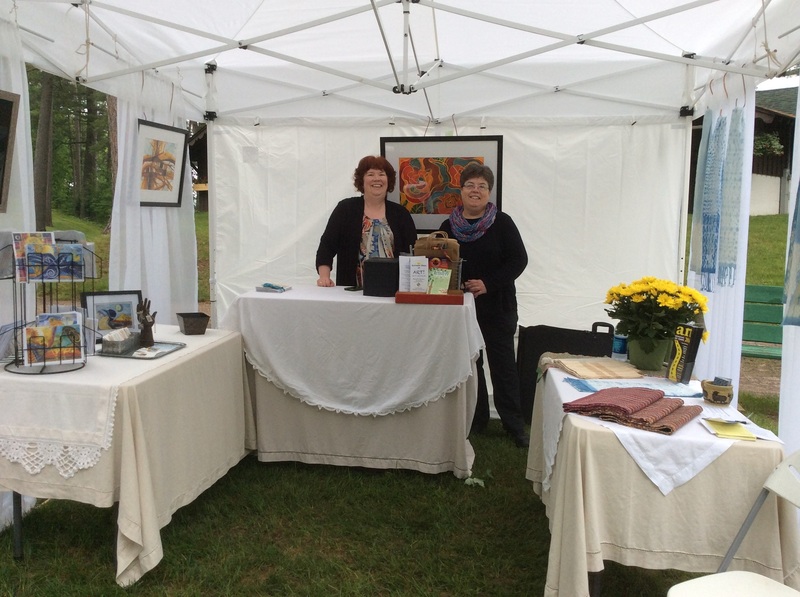 Art Gypsies Wendy Powalitz and myself at the fair. 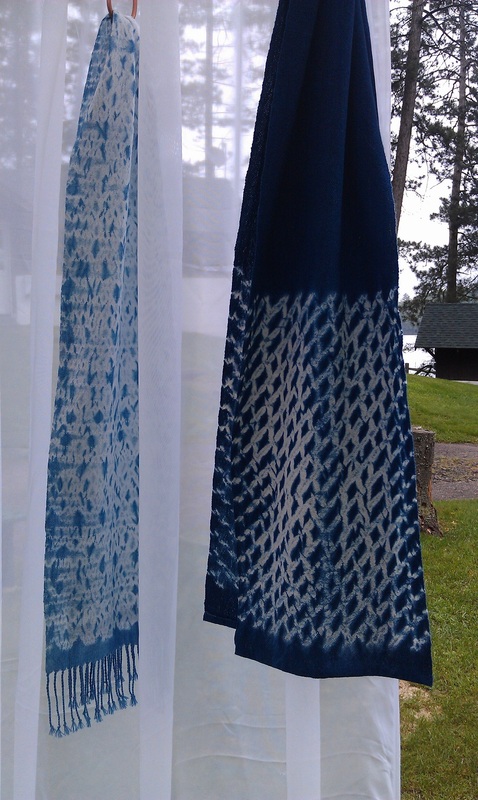 Wendy Powalitz graciously shared her tent space with me, where I had woven shibori scarves, “rag” runners, and a couple cottolin towels. Despite a light rain, it was a beautiful day! “Garden Party” was the theme that day. 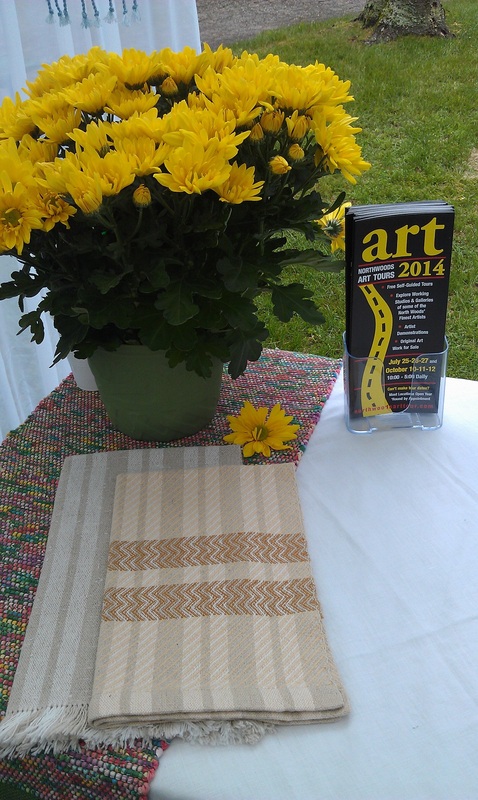 Then, it was time to prepare for the upcoming Northwoods Art Tour!